With the start of spring in Deer Park, colors seem to be changing everywhere! 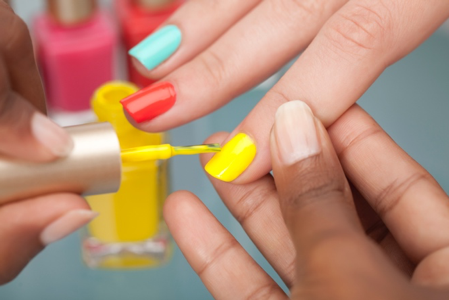 This is the time of the year perfect for colorful, bright and pastel colors, and your nails shouldn’t be any different. At Nails of America in Junction at Deer Park, you can find the highest quality nail salon in Deer Park that will cater to your every need. Call (936) 321-1675 to schedule an appointment with Nails of America today. The changing season is the best time to take nice pictures for your social media accounts. Whether you’re wanting to show off your new spring style, take cute pictures of your children for the photo album or just enjoy something tasty, Sub Zero Nitrogen Ice Cream will add some life to your pictures. Find time to get a dessert from Sub Zero Nitrogen Ice Cream to really make your spring Instagram or Twitter pictures wow your followers this year. The Junction at Deer Park in Deer Park is located just outside of Houston! Take a look at our directory to see all of the great stores for yourself! We’ll see you soon at Junction at Deer Park!